Price Demand is a free flowing exchange between Buyers and Sellers with advantages of the New Digital Economy - it operates globally and ubiquitously in the Digital Cash Economy with no exchange costs, just like Cash Commerce - but has deep global tracking and security to provide the edge for Commerce and Technology ( ComTech Industry ) to eliminate the costly incumbent payment processors. Affordability of products and services is the bottleneck between Supply and Demand, it's the one central function that separates individuals and economies - so having a free flowing interaction between Buyers and Sellers, with minimal barriers, is the way for modern Commerce to operate in our expanding world of economies - one that brings with it a much faster and more equitable global digital transition. QwickBuys is a part of the Global Chamber of Economies, a fully autonomous cloud-based platform that operates above the Commerce level, merging Offline to Online ( O2O ) local businesses into the New Digital Economy - from there it gives all players along Supply Chains new dynamics designed to sell quickly and predictably - now Sellers can offer local Buyers new experiences with Price Demand that allows Buying Prices to cascade down in real-time to a low 20% of the Selling Prices, all the while the Sellers still get their full 100% Selling Prices. The variation between Buyer and Seller prices is solved with the OutSelling of products and services to the Global Crowd, from where the full Selling Price value is drawn by applying Cloudfunding dynamics with Direct Foreign Digital Capital Investment ( DFDCI ) and subliminal organic advertising ( SOA ) - leaving Price Demand to deliver the affordable Buying Prices. All businesses have different levels of customer numbers, some are loyal and regular while others are less frequent but they all will react to Price Demand if they had the chance of buying products or services at 20% of the Selling Prices - this is where the Queen Bee Project and the Seller Co-Ops can alert those customers, and they also become ambassadors who tell others - in the background Sellers get the long-tail benefit flowing on from the future productivity. Cloudfunding is the dynamics operating in the background that generates the commercial activity, disrupting and bypassing the traditional roles in business of the Marketing, CRM and Sales Personal, even Social Media, with the cloud-based Automated Selling - this digital interaction in Supply and Demand changes the connection between Buyers and Sellers into automated real-time Commerce - giving the Buyers the freedom to buy at a price they want to pay, and giving the Sellers their full Selling Prices - Sellers only just list their inventory quantities for OutSell and let SOA ( Subliminal Organic Advertising ) and Price Demand do the rest in the Free Open Markets. Cloudfunding solves the age old assumption that Sellers need to discount and take a profit loss to find Demand at prices that Buyers are willing to pay - Cloudfunding restructures the financial interaction between Buyers and Sellers with a digital comparative advantage that eliminates the risk of 'race to the bottom' discount strategies, which only have short term results but long term damage on local economies. Marketing and Sales staff aren't lost to automation, they move to Customer Service to provide a better environment around customer enquiries and delivery, and the new Digital Sales Division to handle the increased productivity brought on by OutSell and Price Demand. What has forever been the biggest obstacle for any business, is cashflow and working capital - DSD is the Online Office where a business can kickstart their digital future with the Queen Bee Project or a Sellers Co-Op to engage with their suppliers and customers and benefit from everyone's buying habits - the DSD interface gives SMEs control of their business's sales and growth with OutSell looking after sales and Free Digital Capital being the free working capital to help build growth. Starting with the unique SOA marketing, it spreads ubiquitously and subliminally across the world by the Open Market Merchants ( OMMs - Global Crowd ) with Direct Foreign Digital Capital Investment ( DFDCI ) into big and small businesses - through to Price Demand where Buyers make digital cash payments when they buy - that's when the full Selling Prices held in escrow, are released to the Sellers, all free of fees. Instead of using the traditional Commerce dynamics that just discount Seller profits to influence Buyers - Cloudfunding reinvents the way discounting works in Supply and Demand, first by shifting away from the financial industry's control in Commerce to the Universal Digital Cash economy and Free Digital Capital - which effectively is the re-engineering of how advertising works - now the traditionally small % of a product's value that's typically allocated to paid advertising in Commerce, is able to be expanded to a product's full Selling Price value, and validated globally as free working capital - then distributed freely through to the masses for Direct Foreign Digital Capital Investment into productivity in local economies. Free Digital Capital represents what the New Digital Economy is about - a free neutral global trading unit of account that offers the smooth economic transition to the Digital Age - it's free working capital, free to earn, has no interest or fees, and never needs to be paid back, ever! This paradigm shift to distributing free capital to global citizens is only possible in this Digital Era - Finances' traditional role in Commerce is being disrupted and reinvented with the democratic consensus of the Global Crowd - driving trade value freely and seamlessly across global borders using economies of scale like never before - directly into the hands of Sellers and Buyers in local economies - into FOMEZs. The day where big enterprises could out-sell SMEs with their buying power is coming to an end with Price Demand - having the buying power to get prices like big box stores have with bulk orders from Suppliers, has always been a disadvantage - Price Demand levels the playing field by giving Sellers all along Supply Chains, the ability to be competitive with supply prices without needing to discount the Selling Prices - regardless if the Selling Prices are higher than the competitors due to supply and operating costs ( GPI monitors selling prices ). Technology can exponentially do more now than what incumbents have done in Commerce for centuries - the barriers are coming down with Cloudfunding, like removing credit and taking away the risk of indebtedness for Buyers and Sellers by having free access to digital capital - it simply means incumbents are eliminated from adding fees for actions that are now digital and free to provide. Backing up the scale needed to grow economies - Cloudfunding with OutSell and Price Demand can sell products and services exponentially faster than what can ever be produced or manufactured - even with robots! Using discounting in the hope of generating buyer demand is a vastly over-hyped misconception in market forces, it only reduces the full flow of value and damages the economic value between Supply and Demand at the local level - but by using this traditional discounting dynamic in the Supply side that creates Demand, and combining that with the costing mechanism of Advertising, which's usually only a small part of a product's value - Cloudfunding expands that mechanism to a product's full Selling Price value and re-engineers it into a new asset value that's validated with true global productivity, free to distribute globally as digital capital - opening up the new frontier in financing O2O Commerce. Cloudfunding's financial and economic digital structure has its ideological roots linking back to an almost forgotten financial and economic concept, first proposed over 70 years ago at the 1944 Bretton Woods Conference - that a "unit of account be used to track international flows of assets and liabilities" as a neutral central mechanism to balancing world trade - Cloudfunding is that concept's digital transition. Cloudfunding allows the free flow of international assets and liabilities to cross borders, stimulating local economies with value that generates productivity, for free, using the global democratic consensus with the Global Crowd controlling the DFDCI - something that governments can't offer, and financial institutions have no interest in offering - OutSell and Price Demand change Commerce by redefining the dynamics of global trade - opening it up to unlimited markets, all the way from local farmer markets through to commodity markets where real-time demand is linked back to real local productivity, and where the full economic value is gained. It's the digital economy, silly - and it's ubiquitous! Banking begins with credit and debt, hoping that sufficient productivity follows to recover the debt repayments and fees that get diluted from economies, using inflation of prices as a means to replace the economy's shifted value - unlike Cloudfunding, that places productivity ahead of any global distribution which governs the Free Digital Capital, and enables it to perpetually incentivize and generate local productivity - allowing it to scale and be sustained by OutSell, SOA and Price Demand, indefinitely. Banking creates fiat money by simply multiplying ( IOU ) ledger numbers - Cloudfunding is securely governed and validated by true productivity in a Global Chamber of Economies - each location is a local productivity hub known as a FOMEZ - Free Open Market Economic Zone. Cloudfunding offers a solution for Millennials, Gen Xs and others who have been unable to afford buying their first home - unlike banking where the business model is selling a loan product to a buyer in return for payment and interest over time - Cloudfunding offers the economic environment and neutral digital interaction between Sellers and Buyers for free, with no marketing costs, no listing fees or agent fees - the property is listed by Sellers at a validated and fair market price and OutSell takes the property to the Global Crowd to process. The disadvantages placed in front of the younger generations and others that find themselves behind the curve is solved when the Global Crowd establishes the low Buying Prices at 10% of the Selling Prices - again Price Demand is activated, even from a mobile, with the full Selling Prices cascade down until a Buyer accepts the price - this simply means that a Buyer pays the price for the home they want, then they own the home out-right, with no loans or debts - eligibility is only available to local Buyers and those who qualify as First Home Buyers ( owner / occupier ). New house construction can use the First Home Buyers offer just like existing homes - in new construction a builder can offer projects to first home buyers by listing a project before construction and have the construction fully paid for via the OutSell process - with the funding held in escrow prior to releasing the homes on the Open Market for local home buyers to activate the Price Demand - once a buyer wins the deal and construction begins, the funds are released to the builder during construction for the full value of each stage - builders can use the Seller Co-Ops to work together with suppliers to streamline and benefit from more predictable and profitable sales. Advertising has become a regular part of both Online and Offline Commerce but it's become grossly overdone to the point of annoyance, and vastly ineffective for the cost and time involved in finding potential Buyers - and paying for potential isn't the same as predictable sales. Cloudfunding bypasses all that and moves directly to delivering predictable sales, all for free - with no costs to Buyers or Sellers. Cloudfunding uses the Advertising dynamics in Commerce and transforms it into a valuable and free financial asset for everyone to use. 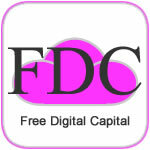 - it starts with the distribution of the Selling Price value of products and services - the full Selling Price value is shared with the Global Crowd to form the foundation for the Free Digital Capital - FDC, it first begins as Cloudfunds and is used as free working capital for bidding. - QwickBids is where both Open Market Merchants - OMM ( Global Crowd ) and local Buyers use Cloudfunds as free working capital in their bidding strategies - a unique validation process collects and escrows the full Selling Price value without hindering the bidders. - when a local Buyer wins, Deals are collected from the Seller and payment is released - when OMMs win the product or services comes onto the Open Market in QwickBuys where the Price Demand finds local Buyers with Cascading Buying Prices, at prices they want to pay. Having a product or service fully paid for prior to it being released on the Open Market to local Buyers, heralds in a new dimension in global Commerce - bypassing the traditional marketing and selling costs now gives Sellers a new high growth level to operate on. Sellers are at the front line in giving and gaining trust with their Customers by being at the transition point of liquidating digital cash to and from local cash with Pay It Forward in their normal daily trading that integrates the Offline with the Online, in real time. Instead of having a flat and unpredictable experience where Sellers list products or services and discounts to entice Buyers - QwickPic gives all Sellers a level playing field where they're guaranteed to get the full Selling Prices while giving the Buyers the excitement of falling prices. There's no need for Sellers to gear up for a day of massive discounting to draw in customers, now Sellers can offer a new experience for Buyers with massive discounting everyday without losing any profit from discounting, fees and charges or advertising. The day is now here where Sellers list their inventory one day and over-nite the OutSell process is completed, and by the next morning the inventory of products or services is ready for the Seller to release to the local Buyers - the Price Demand find the true demand online with the local Buyers, only needing the all important Customer Service staff to look after deliveries and pickups. To have stock sitting on shelves or in warehouses for weeks and months changes with OutSell and Price Demand. Cloudfunding changes the flow of the Sales Person who now has the important role in Customer Service for making sure the product or service deals are exchanged satisfactorily, or they operate in the business's Digital Sales Division where selling takes on a whole new meaning. For any real effective selling online without flooding web pages with visual and disruptive ads, a new type of advertising has been developed that's able to be added into web sites and operates almost unseen - but is capable of directing income streams to web site Owners and Users for as long as the sites are being connected - it's called Subliminal Organic Advertising - SOA & Sales. The way web sites have tried to earn income streams up until now has been to place ads from various marketing agents onto their web pages to help earn via small percentages of the advertising payments from each click ( CPM ) - and of course this has lead to the click fraud that the industry is forever confronted with, and Sellers eventually pay for. The User experience of having to view ads is the elephant in the room now for digital advertising and that's all compounded further when it's on mobile - SOA solves all those issues by offering a better User experience and the web site Owners get so much more than the click-through model - but importantly, the Seller who would normally be paying for the advertising, is getting it for free and are guaranteed to get sales from every unit of their inventory that they list for OutSell - if something doesn't sell then it shouldn't have a price. With Subliminal Organic Advertising and Sales, web sites don't need to spread ads across their web pages to get the clicks for any potential income - with just one simple QwickPic Ready logo positioned on the web site the User will see nothing, but subliminally, in the background the QwickPics will continue to run on auto scroll without displaying images for as long as the User is visiting the web site - continually earning FDC for Users and web site Owners a percentage from any sales - a total reversal to the Online methodology of using the User base details and information with third-parties as part of their income source. The only thing Users need to do is Opt-In when they get to the web site or have their Opt-In login open when they visit web sites, that way SOA is automatically running from the initial moment they arrive and start earning Free Digital Capital, subliminally and organically - this connection with the User's Global Citizen ID leaves no identification or tracking that the web sites can take advantage of. As with all services on the platform, no User details are released to any Seller or third party other than the details required to complete product exchange and delivery. For the User they earn from every web site that carries the QwickPic Ready logo, and for web site Owners they automatically earn 2.5% of the full Selling Price of any sale linked to a User that earned FDC - free working capital while visiting their web site - collecting FDC in this way from web sites avoids any click fraud because the free working capital still needs to be used in strategies before moving to its full validation. As the Users collect the FDC they carry the link from the web site but it's also linked with the products and services that they get to select which deals they want to register with, and then allocate their free working capital in strategies to win deals - the more deals a User decides to participate in the more FDC that gets fully validated to spend on deals listed for local Buyers to buy with Price Demand, or something else. With the way digital advertising has worked via the internet until now has only been to expose a product to an audience who gets nothing for their effort unless they buy the product, which inevitably is offered at a discount to attract the Buyer - the web site Owners never have any real connection to anything more than a tiny share of the advertising payments paid by the Sellers that gets spread across thousands and even millions of views through the various channels - SOA & Sales flips that model by reverse-engineering advertising's commercial dynamics so that global scale can be expanded without flooding the environment with unnecessary advertising displays. SOA & Sales raises the bar by giving web site Owners the direct connection to the end sale of products and services sold through their web pages - instead of needing to spread across thousands of views, SOA & Sales from just from one visitor could earn 2.5% of a sale ( maybe a toothbrush or even a car ) worth more than the entire advertising budget of some Sellers using CPM - instead of taking profit away from Sellers with paid advertising, SOA & Sales focuses on the full Supply and Demand cycle and taps into the real productivity along the Supply Chains by rewriting and streamlining the dynamics in Commerce - rather than just adding the cost of advertising for Sellers to do business, without any true accountability. Although the Advertising Industry has been around for some time, its relatively young in the context of how old Commerce is - the form of advertising where it's constantly displayed in front of everyone has reached its maximum acceptance level with society, as many surveys have concluded with increased ad-blocker use - paid advertising model is said to be the only way to view Online content for free, and that there's no alternative ( most Online content providers would only be a function or feature if it wasn't for being an advertising channel ) - with all that, it's probably a good time now that subliminal advertising comes along and makes selling free for Sellers, and gives Users a better experience. The option is there for web site Owners to decide if they use SOA or display the QwickPics ( even their own products and services ), the outcome for the web site Owner is the same in earning 2.5% of the full selling value from any sales - the change is in the experience for the User, especially on mobile where ads are not wanted, hence why subliminal and organic is a better future for advertising. SOA & Sales is suitable for any web site looking for a better User experience, even TV - it's an ideal option for Video and Publisher sites that are wanting less intrusion and cleaner pages without ads but still get the income streams they need, even better incomes - adding to the organic earnings of both Users and web site Owners, especially those with content like Publishers, there's a payment option that seamlessly operates in the background by transferring micro payments to Content Providers ( with full disclosure to Users ) when Users view content. Cloudfunding gives Buyers a new frontier in how they purchase their daily essentials and their mid and long term goals by offering Buyers the tools that automatically set algorithms to set bid strategies for products and services or to buy products and services at set prices. While Buyers are asleep algorithms are set to collect FDC from the inventory listed by global Sellers, and later use those funds in strategies to try and win product and service Deals before they're released on their local Open Market. The algorithms alert and update the Buyer in the morning if the products or services Deals were won and if not the next step automatically comes into play when the products and services are released on the Open Market using the Price Demand with Cascading Buying Prices. A Buyers full shopping can be processed this way in coordination with Sellers wanting to sell, even if it's a shopping list of products that aren't known at the time, the value of a shopping cart can be bid for or purchased with Price Demand and paid for when the Buyer goes shopping. It's not just the essential purchases that can be set to automatically buy but other products and services like fuel, energy, insurances, health care, all the costs that are monthly and annually needing to be paid - the demand set by Buyers influences what Sellers list to sell. Payments are made simple and free by digitizing global currencies and using a neutral global digital cash that's always compared with each local currency, without fees or charges - this simply means local cash is used to buy internationally without conversion ( spread ) costs. The days of unpredictability in selling products and services will fade away with Automated Selling. The cost of the unaccountable marketing function in Commerce has always had a lack of transparency in its true effect in markets, with no guarantee of sales - now all that's bypassed in Offline and Online Commerce with Cloudfunding, by never needing to pay to find Buyers. The Third Pinnacle of the Digital Era in the Digital Economy now joins the two other Pinnacles - Social and Data. The 20th Century was focused on the Globalization of Commerce and Trade based on outsourcing Manufacturing offshore - ComTech integrates Technology with Commerce to directly focus on solving the economic disparities that've been carried forward into the Digital Era. ComTech solves the global economic growth dilemma of having almost no growth and growing disparity - ComTech removes the sticking points where Supply meets Demand by separating the Buy from the Sell, so that these two separate forces ( markets ) gain from their own strengths ( price levels ) and have true effect on the real economies. Supply is encouraged by full sales profits to ensure continued production - Demand supports that productivity by having an Open Market with Price Demand, which in turn solves any lack of wage growth by having greater buying power - this provides one of the key pivotal points of the New Economy where the price of Supply doesn't need to be matched to the price of Demand to have equilibrium - the aggregated price of demand provides the true growth ratio that selling prices are able to increase by ( GPI - Global Price Index ), without disturbing economic growth with the booms and busts, that are often explained as 'corrections in the markets'. ComTech eliminates any need for the inflation of product and service prices to artificially create the illusion of growth - instead algorithms guide growth by the forces of demand down to the cities and regions of countries, allowing growth to be distributed uniquely on a global scale through the Universal Digital Incomes - UBI, which are linked to the international flows of assets and liabilities that are tracked and balanced automatically - algorithms adjust to any lack of activity in real time instead of using outdated ( feudal ) monetary policies that have windows of elasticity from 3 to 6 months, before having any degree of effect, if any - these old world economic policies are now beginning to loop back around and starting eat their own tails, causing stagnant growth. Countries and individuals respond by interacting to true flows of productivity in Supply and Demand, without the incumbents controlling growth with money supply and interest rates from the Old Economy policies - the New Economy is structured differently, where people control the economic growth by holding the democratic balance of power between Supply and Demand, regardless of how many robots there are.